Lassi Karonen, Ondřej Synek, Kari Schulze, photo: CTK The biggest Czech team ever at the European Rowing Championships took home a bagful of medals from Portugal’s Montemor-o-Velho at the weekend. 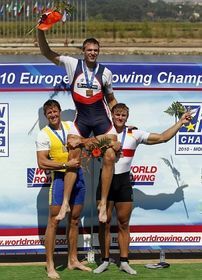 Ondřej Synek, who has won all his races in the World Cup this year, again triumphed in Portugal in the men’s single sculls, finishing nearly three seconds ahead of his closest rival. 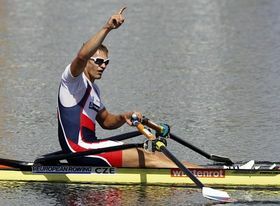 Otherwise, Miroslava Knapková earned a silver medal in the women’s single sculls, David Jirka and Petr Vitásek took bronze in the men’s double sculls, and a Czech team also came third in the men’s coxless fours. 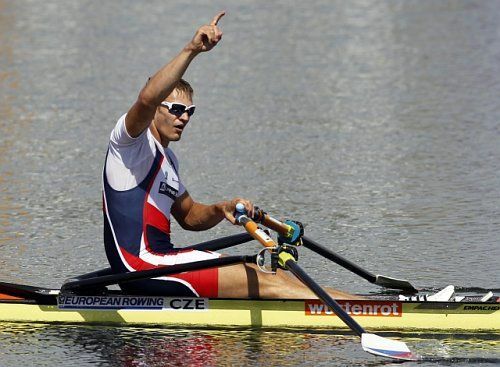 Ondřej Synek, photo: CTK Speaking to Czech Television, gold medalist Ondřej Synek, who is 27, said that while he is in great form, he isn’t taking anything for granted. Viktoria Plzeň - Ústí nad Labem, photo: CTK After a brilliant start to the Czech football league season, Viktoria Plzeň’s Štruncovy Sady stadium was sold out for the first time in years on Sunday for a game against Ústí nad Labem. Fair weather fans couldn’t have chosen a better game to attend either, as the league leaders absolutely walloped the visitors, leading 4:0 at half-time and eventually running out 7:0 winners. That result means Viktoria Plzeň have now dropped only two points in eight games so far this term. 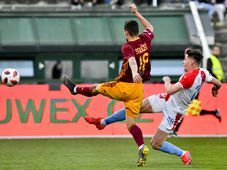 2011 is the club’s centenary year, and some supporters will no doubt already be dreaming of the big anniversary being crowned by their first ever league title. 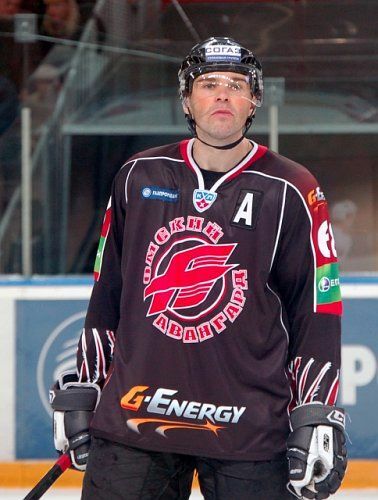 Jaromír Jágr, photo: CTK With the Czech elite ice hockey league the Extraliga not due to resume until Friday, a match-up between two Czech legends in Russia’s Konintental Hockey League grabbed a lot of headlines here at the weekend. Jaromír Jágr’s Omsk faced a Spartak Moscow side featuring veteran goaltender Dominik Hašek, and while Jágr didn’t score it was Omsk who came out on top, winning that closely observed game 4:3.